A documented research and petition officially submitted to Yad Vashem on February 1st., 2011, with a request and recommendation to bestow upon Angelo Roncalli the title of "Righteous among the Nations"
It is with great pleasure that I invite you to review the massive dossier which documents the life-saving efforts of Cardinal Angelo Roncalli while he served as the Apostolic Delegate of the Vatican in Istambul, during the dark years of the Shoah. The aforementioned dossier, which includes new revelations and evidences, has been recently submitted by the Wallenberg Foundation to Yad Vashem, with our firm recommendation to bestow upon Roncalli the title of Righteous among the Nations. It is our strong conviction, and we believe that the enclosed body of documents will unambiguously prove so, that few people deserve this title as much as Roncalli who went far beyond the line of duty to save the victims of the Shoah. 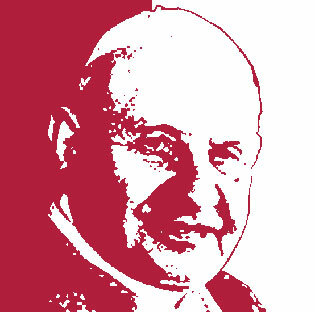 Back in 2009, we published an eBook entitled "John XXIII – The Good Pope", which described Roncalli's feats. This eBook - in its two versions, English and Spanish, was offered free of charge to our worldwide readership and friends, exposing thousands of them to this great and humble man. The current dossier complements the first eBook, providing a carefully and rigurously researched effort that underscores the intricate relationship between Roncalli and its superiors at the Holy See, as well as the monumental hurdles he faced as he strived to save as many innocent lives as possible. Thanks to the testimony of Mr. Yair Zaban, a renown Israeli politician, former Member of the Knesset and Government Minister, who as a young man was the personal assistant of Dr. Moshe Sneh (a legendary Zionist leader), we also reveal the breathtaking role played by Roncalli in the eve of the UN vote that adopted the 181 Resolution (known as the Partition Plan), which resulted in the establishment of the State of Israel. In a meeting with the late Dr. Isaac Goldenberg (then President of the DAIA, the Jewish Umbrella Organization of Jewish Associations in Argentina) and myself, Moshe Tov, a prominent Argentinean-born diplomat who headed the Latin American Desk of the Israeli Foreign Ministry, who was a close friend and colleague of Dr. Sneh, revealed to us the role played by Roncalli in favor of the establishment of the Jewish State. During a visit to Buenos Aires, with the presence of the legendary educator Maximo Yagupsky, Ben Gurion himself praised the job done by Moshe Tov in the eve of the UN Partition Plan Vote. It is my personal belief that Angelo Roncalli is a unique role model. A humble and noble man who embodies the essence of human solidarity. In my view, no other Pope in the history of the Catholic Church did so much to bring closer Christians and Jews in a framework of mutual respect. Our deepest thanks go to all those institutions and individuals who helped us put together the Roncalli Dossier. A special thank goes to Professor Alberto Melloni, one of the foremost world scholars specialized in Roncalli, who shed new light into his life-saving efforts. Our appreciation to Dr. Mordecai Paldiel for his valuable advice and to Prof. Dina Porat, who enlightened us with her precious knowledge. To Ms. Luisa Rinaldi, who helped us with her skillful translations, to Mr. Yair Zaban, who gave us a full account of Roncalli's contribution to the creation of the State of Israel, to Monsignor Loris Francesco Capovilla, former personal secretary of Pope John XXIII, who granted us his personal testimony and who, on June 27th., 2011, was awarded with an Honoris Causa Doctor Degree from the Istituto Europeo dell' Accademia Russa della Scienze. Thanks to our sister institutions "Casa Argentina en Israel - Tierra Santa", the "Angelo Roncalli International Committee Trust", and to the devoted staff of the Wallenberg Foundation and volunteers who helped us make this important project a reality. I hope you will enjoy reading the Roncalli Dossier and you will get to know the feats of one of the most remarkable rescuers of the 20th. century.